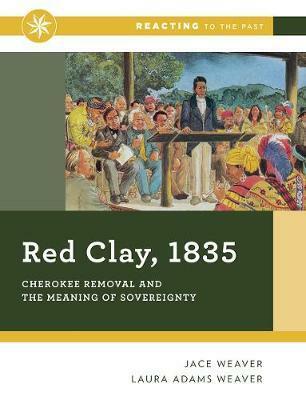 A Norton original in the Reacting to the Past series, Red Clay, 1835: Cherokee Removal and the Meaning of Sovereignty envelops students in the treaty negotiations between the Cherokee National Council and representatives of the United States at Red Clay, Tennessee. As pressure mounts on the Cherokee to accept treaty terms, students must confront issues such as nationhood, westward expansion, and cultural change. Reacting to the Past is an award-winning series of immersive role-playing games that actively engage students in their own learning. Students assume the roles of historical characters and practice critical thinking, primary source analysis, and argument, both written and spoken. Reacting games are flexible enough to be used across the curriculum, from first-year general education classes and discussion sections of lecture classes to capstone experiences and honors programs.